The Maringá State University (in Paraná, Brazil) invites to the International Symposium on work in agriculture 2016, 8.-11. November. 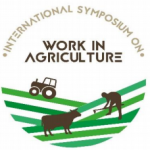 The aims of the symposium are to capitalize on knowledge of changes in farming work, to take into account the diversity and dynamics of the forms of work organization in different farming models (family-based, agribusiness, high-tech…), and to reflect on the future of the work of men and women, family workers and paid employees. For further information, please see attached flyer (PDF) or visit the symposium website. This entry was posted in Conferences on January 26, 2016 by admin.